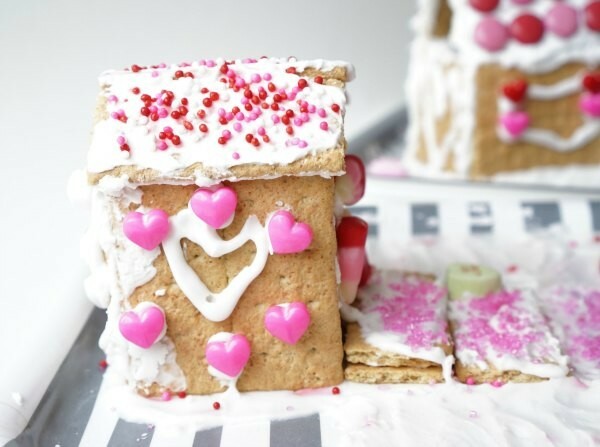 Christmas has the sweetly decorated gingerbread house and Valentine’s Day has the over-the-top love shack. When I was in high school the B-52’s were a favourite band and their song “Love Shack” inspired many memorable dance moves. I believe there is even a video recording of our class involved in a massive recreation of the video – lip sync style on the stage at school. 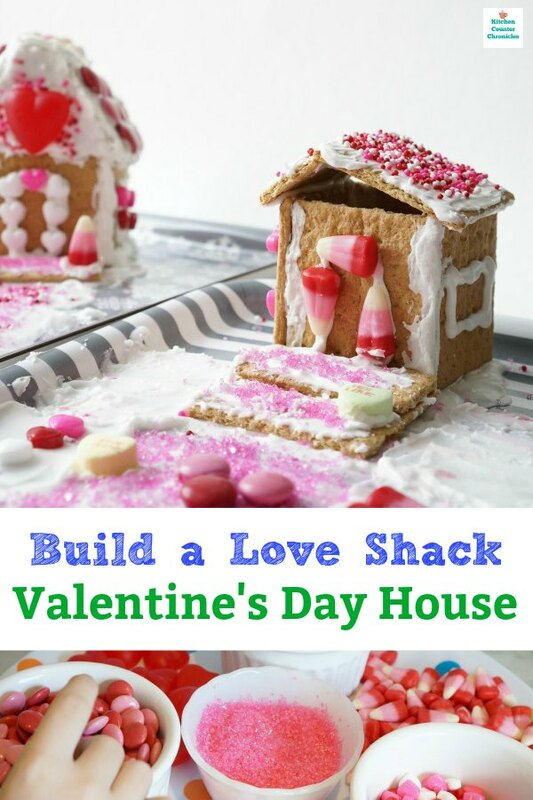 So, when the idea popped into my head to make love shacks with the kids I had to show them the original video. How much fun was that?! 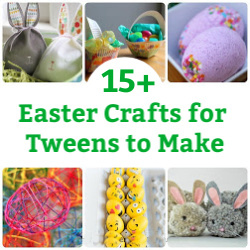 My kids totally fell for it…they were a little skeptical at first…but they couldn’t resist the super fun beat. 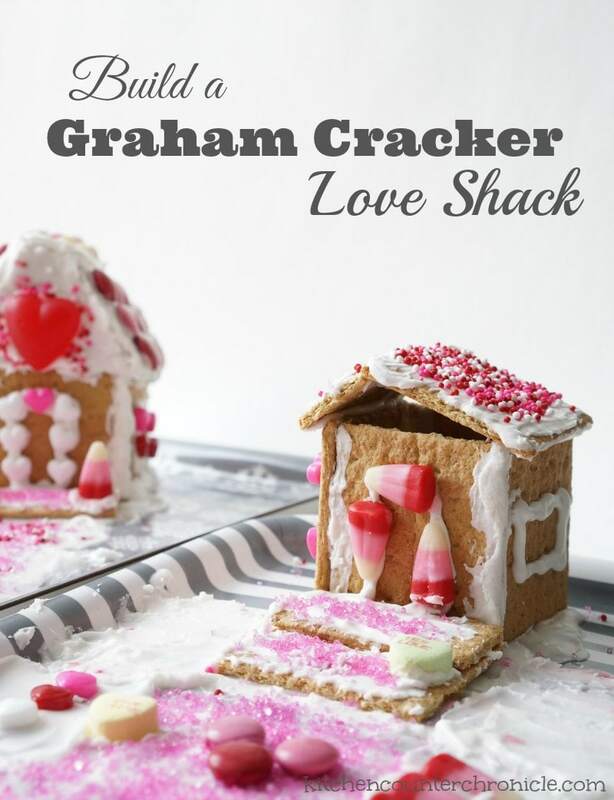 I suggested we make our own graham cracker love shacks and they jumped on board…although it ended up being my youngest and I who built houses, my eldest was in it for the candy! 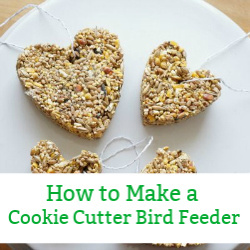 We started by gathering up our supplies at the local bulk food store. 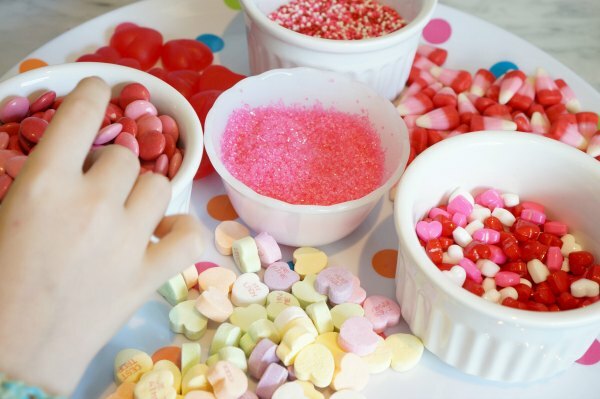 Every kind of heart shaped candy we could find and glitter…for the highway and the front porch, of course. We also picked up a box of graham crackers and a package of royal icing mix. While I normally like to make my royal icing from scratch for gingerbread houses I use the mix. Why? 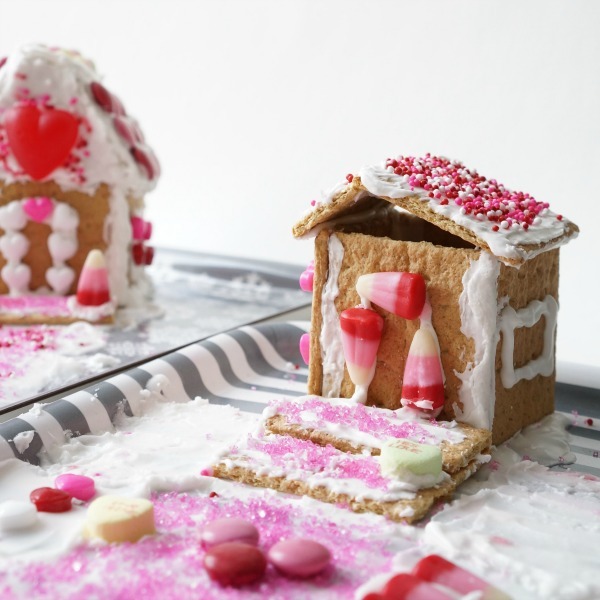 First, we don’t eat these houses, they become our seasonal centrepieces. 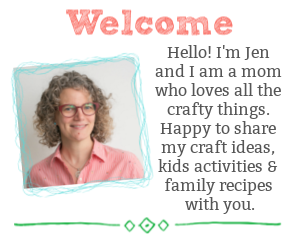 Second, the mix results in a very sticky and thick consistency that is needed for construction…my royal icing is delicious and perfect for cookie decorating. After mixing up our icing, sorting our candies and selecting the bases our houses will sit on – we got down to constructing the shacks. My daughter felt that a “shack” should have a slanted roof, while I made mine with a peaked roof. The trick to constructing a graham cracker house is to be patient and let the pieces dry before decorating. We made our houses and let them sit for about 30 minutes then started the decorating. Decorate the love shacks any old way you like. My daughter wrote the word “love” with candy out front of her shack. In the end we created a couple of groovy little love shacks. 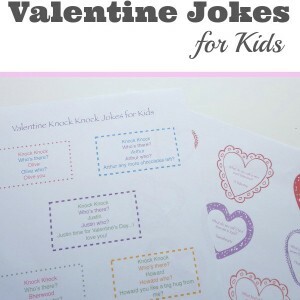 A perfectly fun activity to celebrate Valentine’s Day with kids…just don’t forget your juke box money! 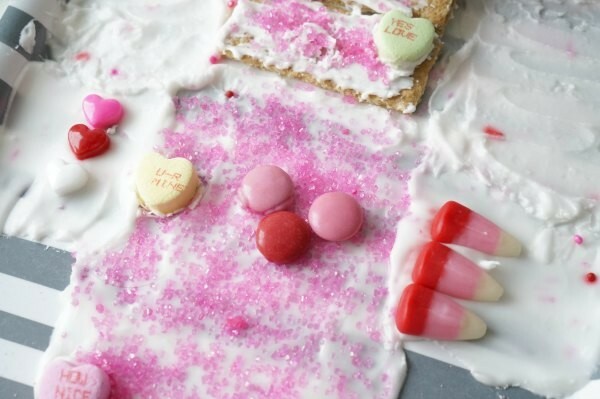 Looking for more amazing Valentine’s Day recipes, activities and crafts for your children to enjoy, be sure to subscribe to have our posts delivered directly to your inbox. 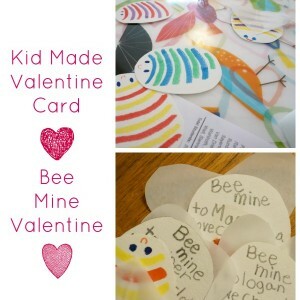 Check out all the ideas we are collecting on our Valentine’s Day Activities, Crafts and Recipes board on Pinterest.